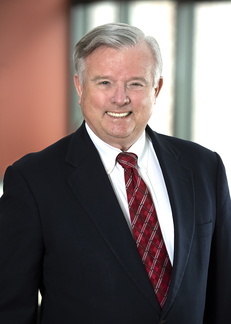 Dr. James Cloyd is a Morse Alumni Distinguished Teaching Professor, the Lawrence C. Weaver Endowed Chair in Orphan Drug Development, and Director of the Center for Orphan Drug Research at the University of Minnesota College of Pharmacy. He earned his BS in pharmacy from Purdue University in 1971. Following 2 years in pharmacy practice, he entered the combined PharmD/Hospital Pharmacy Residency Program at the University of Kentucky. His research project was the protein binding of phenytoin in newborns. Upon graduation in 1976, he accepted an appointment as an assistant professor in clinical pharmacy with the University of Minnesota College of Pharmacy. From 1985-86, he completed a fellowship with Rene Levy, PhD (clinical pharmacokinetics) at the University of Washington. His fellowship project dealt with carbamazepine concentration-dependent auto-induction. In 2005, Dr. Cloyd was appointed the Lawrence C. Weaver Endowed Chair in Orphan Drug Development at which time he established the Center for Orphan Drug. The Center’s mission is the development of orphan drugs for rare, pediatric neurological disorders. Dr. Cloyd’s research focuses on the clinical pharmacology of CNS drugs. His research includes laboratory investigations of drug solubility, stability, and pharmacology; pharmacokinetic and efficacy studies in animals; drug safety, bioavailability and pharmacokinetic, pharmacogenomic, drug interaction, and efficacy studies in healthy volunteers and/or patients including children and the elderly. He holds 9 INDs and has served as principal or co-principal investigator for a number of Phase I-Phase III trials, many of which have supported NDA applications. He co-authored the orphan drug application for diazepam rectal gel (Diastat) and was a key leader in the successful development of product. The National Institutes of Health, the Food and Drug Administration, foundations, and the pharmaceutical industry have funded his research, which has led to100 papers in major medical and pharmacology journals as well as book chapters on various aspects of CNS drugs. Dr. Cloyd has trained 20 PhD and post-doctoral fellows, many of whom have pursued a career in clinical pharmacology. He is actively involved in several international and national organizations including the International Conference on Rare Diseases and Orphan Drugs and the American Epilepsy Society, where he served on the Board of Directors from 2009-11. He has been a member of several National Institute of Neurological Disorders and Stroke (NINDS) data and safety monitoring boards, has served on the NINDS clinical trials study section, and is a temporary voting member of the FDA Advisory Committee on Pharmaceutical Science and Clinical Pharmacology.